We are going to talk all-things Instant Pot today! I have been meaning to write this post for a while now because every time I share a recipe that involves my Instant Pot I get tons of questions like: “is it worth it?” and comments like: “I have one and I’m scared to use it!” We bought ours more than a year ago and have made dozens of recipes in it, so I thought I’d share an honest review of what I like about it, what I don’t, and our go-to meals we use it for! The Cons: Okay, let’s start with the cons. I would say that the biggest drawback of the Instant Pot is that it’s intimidating to use at first. There are tons of buttons and the instructions it came with weren’t very intuitive. Here’s how I got over that: 1) reading a lot of blogger recipes that gave easy instructions for how to use it when making a specific meal, and 2) practice. I would equate the complexity of the device to what it was probably like when microwaves first came out and gained popularity – they seem overly complex (have you ever actually used the potato button on your microwave?) but you really only end up using a few of the options that are available on it. Most of the time I use the sauté button to get a meal started, and then use either the rice, poultry, or stew/meat buttons depending on what I’m cooking. It’s also a bit of an investment – the one we own is priced around $80 on Amazon. They definitely go on sale though, which is when we purchased ours. Keep an eye out for the Amazon deals page and look for coupons at Macy’s or Bed Bath and Beyond to get a discounted one. The only other con I would mention is that it’s a bulky appliance if you have a small kitchen. We have the 6-quart size and that’s the one I would recommend if you were planning to use it for family dinners and meal prep. We have a fair amount of storage in our kitchen so it doesn’t bother me too much, but I know my mom was considering getting one and decided against it because she thought it would be difficult to store. We use the Instant Pot as a pressure cooker, a rice cooker, and sometimes put it on the slow cooker setting too – so we were able to get rid of a few other small appliances and use this one as a multi-functional tool which helped with making space to store it. The Pros: I love efficiency in the kitchen and that is the biggest positive of the Instant Pot for me – speed! I use it on Sundays to meal prep a big batch of shredded chicken or chili or pulled pork, and I love that I can do it quickly so that I don’t have to wait around all day for a slow cooker to do it’s work. This past week I made a beef stew for lunch on St. Patrick’s Day and I threw everything in the Instant Pot just 40-minutes before our friends and family arrived. When it was done it tasted like it had been slow cooking on the stove for hours, but it was actually so fast! I also love the economic efficiency in using it for meal prep – the pressure cooker method is great for taking fairly inexpensive cuts of meat and making them really tender at the end of the cooking process. I never owned a rice cooker before, so the rice-function was new to me and I’ll never go back to making rice on the stovetop again. It comes out so fluffy and delicious when you use the Instant Pot’s rice-function. I mentioned above that we got rid of our slow cooker once we got the Instant Pot because I find that it serves the same function for us, but works so much better. I used to hate when I would pick a slow cooker recipe to make for dinner and realize that I had to pull out pots and pans to sear the meat and sauté veggies before actually putting it in the slow cooker. What’s the point of using the slower cooker if I have to also use tons of other dishes? I am obsessed with the fact that the Instant Pot has the sauté method built in – it truly makes it a one-pot meal and reduces my prep work and cleanup time! My last big “pro” of the Instant Pot is that we used it a lot when Jane was just starting on solid foods. It worked really well for cooking down veggies that I used for homemade baby food. I was looking into all of those specialty baby food steamer kits and ended up finding that Instant Pot did the same job. The veggies would break down and I would mash them up a bit by hand with the back of a fork, or puree them quickly with an immersion blender right in the pot! (PS: I love these glass containers for homemade baby food). Favorite Recipes and Resources: The best way to get over the intimidation of using the Instant Pot is to use it! The more I’ve used it, the more comfortable I’ve gotten with it (and now we use it at our house every week). When I first got it I leaned on a few books and blogs for recipes to test in it, and I thought it would be helpful to share them if you’re looking for some Instant Pot recipe inspiration! The Martha Stewart’s Pressure Cooker cookbook has lots of unique ideas for using the Instant Pot. I also love all of the SkinnyTaste recipes and dig into the Instant Pot section on that site often; try the SkinnyTaste One and Done cookbook for some great Instant Pot recipes too. Pinch of Yum is another great site for Instant Pot recipes; they even have a whole line-up of healthy freezer meals you can prep and cook in a pressure cooker (I’ve tried several of them!). 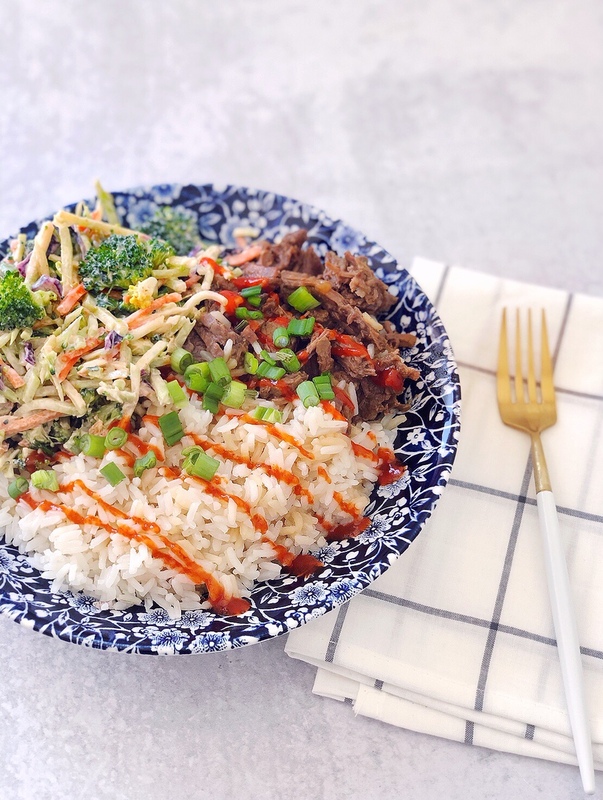 In fact, one of the first things I made in the Instant Pot was Pinch of Yum’s Korean BBQ Beef (pictured in this post!) — it’s my favorite! Once I got used to experimenting with the Instant Pot I finally felt like I could test my own recipes to share on the blog. I’ve started an Instant Pot category with these recipes on the blog, including an easy, healthy turkey chili, some shredded buffalo chicken that I’ve served in wraps and on salads, and the tastiest green chili beef tacos! 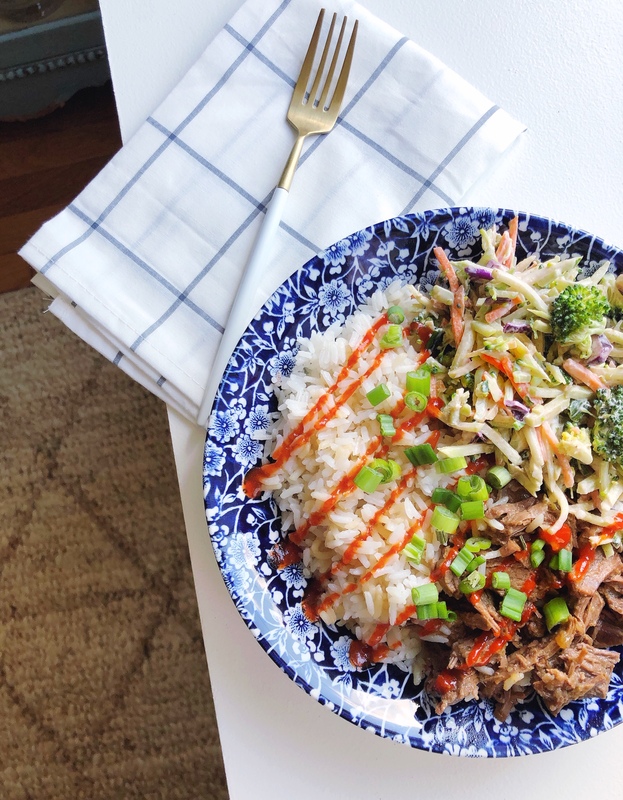 It’s been fun to learn this new kitchen tool and keep testing new ideas with it –I’ll keep adding more of these Instant Pot recipes to the mix! Tarragon Curry Chicken Salad. Easter Basket Ideas.